"Let others invent" was the Spanish slogan for a long time. However, the Spaniards are taking an unlikely lead in the latest digital revolution, becoming a focal point in Blockchain technology and the Internet of Things. For decades, the saying "let others invent" — based on a famous quote by the Spanish author Miguel de Unamuno ("Que inventen ellos") — was Spain's credo and made the country a tourism world champion during the Franco dictatorship. But it has failed to create an industrial base, while engineers and skilled workers emigrated en masse to northern Europe. The digital economy is different. "Spain has not missed the train here. On the contrary, the success of our high-speed train network, AVE, is closely linked to our digital success," said Javier Rivas, Blockchain expert and lecturer at the Madrid EAE Business School. When the country's railway network was expanded about 10 years ago, the Spanish government seized the moment and laid a comprehensive fibre-optic network, which has become the cornerstone of the current success in the digital economy. Christoph Steck, a Blockchain specialist with Spanish mobile operator Telefonica, says loose regulation of the network prompted the country's telecom companies to expand the fibre-optic network to Spanish housholds in a record period of time. Steck points out though that Spain is still not Estonia, whose parliamentary elections and large parts of its bureaucracy and administration are already being handled digitally. Even in the overall volume of digitalization of the economy, Germany ranks ahead of the Spaniards. But within the eurozone, the country has become part of the discussion regarding broadband, Blockchain and the digitalization of the administration. "This is of course not entirely harmless, because there are are 1,700 internet currencies worldwide flooding the industry. It is reminiscent of the internet bubble at the beginning of the 21st century," warns Rivas. 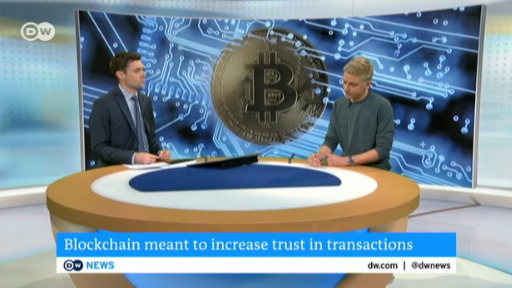 Nevertheless, he believes that the technology on which they are based, Blockchain, is the future: "This is simply because of the enormous security of these endless interconnected data chains, which, because of their encryption, are not only long-term intermediaries between customers and banks but also to simplify the entire money business and thus make it cheaper." The Spanish economy has already set up two major industrial Blockchain consortia that make the country a front runner in this technology. Each consortium has emerged from the banking world, in cooperation with telecom operators and law firms. Telefónica Deutschland has even recently successfully placed corporate bonds over Blockchain, and the Spanish state will soon also be offering its treasury bills there. "Spain has clearly shown more courage than Germany," says the management consultant and author Ignacio Sánchez-León. "As a result of low regulation and high security standards, Blockchain allows corporations like Amazon and Google to operate like banks. Those who will survive are mainly the global players in banking," Sánchez-León believes. Unlike the German savings banks, Santander and BBVA have a good chance of surviving this battle for fintech customers: "They have long been the top sales leaders in the eurozone and also in Latin America in many countries," says Javier Morillas, Business lecturer at the Madrid University of San Pablo CEU. But, apart from the huge benefits for the money business, the new technology of the "data chain" also allows for better tracking of financial transactions around the globe and thus increased protection against money laundering. Each block contains the data from the previous one, and the end is a grand total. Because of this logic, changes in the chain are immediately visible, because any manipulation changes the end result. "The banking business could be cleaner," Rivas hopes. The Spanish government, under the leadership of the People's Party (PP), hamstrung by various corruption scandals, has made this a priority: "We want Spain to become a leader in matters of Blockchain," said Teodoro García Egea, spokesperson for the PP's Commission on "Energy, Tourism and Digital Agenda." But for Sánchez-León, there is still a long way to a "clean image" of the Spanish financial world. "Before we think about the advancement of technologies, we should adapt our laws to this new digital world, which is becoming increasingl integrated into our everyday lives. Our constitution must regulate this new digital life." "The impact of the use of artificial intelligence, especially in the form of algorithms, is enormous. We're already determined in many areas of our lives without fully understanding it. That's dangerous." Blockchain is the technology behind the cryptocurrency Bitcoin. It makes it possible to buy and sell all over the world. It has many applications, not just to make cryptocurrencies like Bitcoin possible. You can also store medical records centrally, for example. 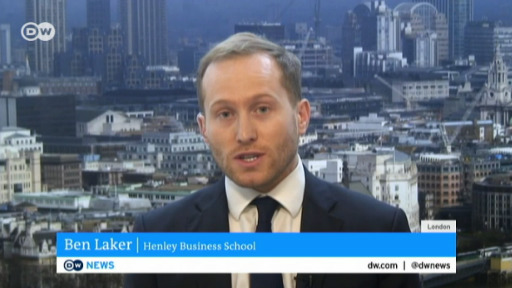 The mania surrounding bitcoin's spectacular rise in value may be short-lived, but the potential of its underlying blockchain technology hasn't faded, says cryprocurrency expert Ben Laker from Henley Business School.